There’s a reason why pot de crème is still so popular after more than two hundred years. It’s silky and rich, and when it’s made with really great chocolate, it has no rivals in the pudding world. This particular version is made with a stovetop cooked custard rather than being baked in a water bath, so technically it’s not a pot de crème, but it’s absolutely luscious nonetheless. When we tested this recipe at our factory, it vanished before many of us had time to go grab a spoon. 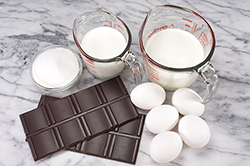 Try it with any of our flavored 70 percent dark chocolate bars for some fun and sophisticated variations. Serve as is, or with a dollop of barely sweetened or even unsweetened whipped cream. In season, plop a few fresh berries on top for a bright note. 1. 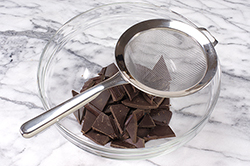 Put the chocolate in a heatproof bowl. Put a strainer over it and set aside. 2. 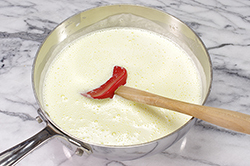 In a medium saucepan, heat the cream and milk over medium heat. 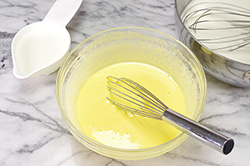 Meanwhile, in a small bowl, whisk the egg yolks and sugar together until creamy and pale yellow. 3. 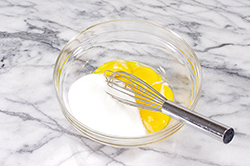 When the milk is steaming, add 1/2 cup to the yolks and whisk until well blended. 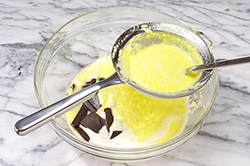 Pour the yolk mixture into the saucepan with the remaining milk, whisking constantly but gently with a heatproof rubber spatula or wooden spoon, until the foam subsides and the custard thickens enough to coat the spoon. 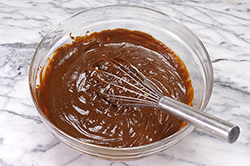 Strain the custard over the chocolate and let it sit for 2 minutes to melt the chocolate. 4. 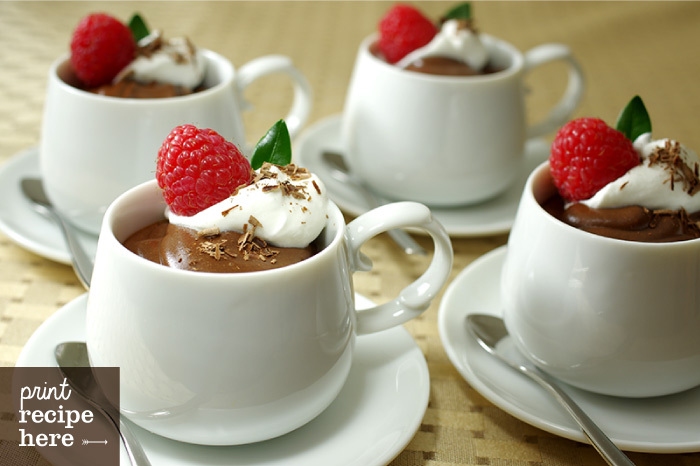 Whisk the mixture until smooth, then divide it evenly among 6 small ramekins or demitasse coffee cups. Cover the puddings with plastic wrap and refrigerate until set, at least a couple of hours. 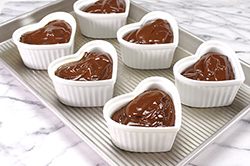 For best flavor and texture, let the puddings sit at room temperature for 10 minutes before serving.